Type: Non-slip Strip. Quick and easy to use: just peel and stick. Material: PEVA Adhesive. Color: Transparent. Due to the difference between different monitors, the picture may not reflect the actual color of the item. 1Pc Opener. Material: Alloy. If you are not satisfied with the item, you can. Size: 10 4cm/3.94 1.57in. Due to the difference between different monitors, the picture may not reflect the actual color of the item. 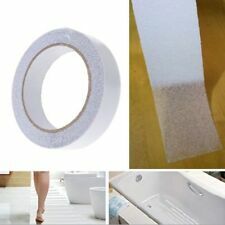 Suitable for: Bathroom, bathtub, stairs, swimming pool, kitchen. Also great for stairs, boat decks and hot tubs. 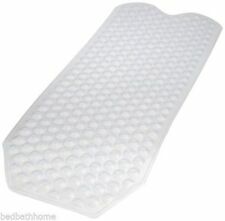 Perfect for any non-textured, non-porous bathtub or shower. Also note that monitor settings may vary from computer to computer and may distort actual colors. Quantité: 2 jeux (x6 pour chaque ensemble, 12pcs total). - Coupez à la taille avec des ciseaux et de taille de stripe. - Concave antidérapante et des lignes de surface convexes Aide à prévenir les dérapages et les chutes. Self-Adhesive, convenient to paste, use easily. 1 x Anti Slip Tape(other accessories demo in the picture is not included.). 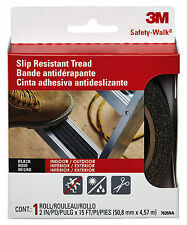 Reduce the risk of slip accidents, fit to outdoors or indoors. Also can be used in skateboard, scooter, treadmills, exercise machine etc. 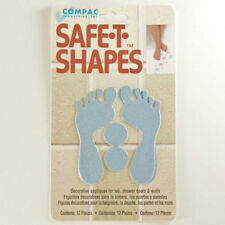 The stickers can be used not only to beautify the decoration, but also to avoid slipping when in the bathtub. Role: used to avoid slipping in the bathtub and prevent dirt, and used as decorations or table mats. Just remove paper backing to expose aggressive permanent adhesive and apply. 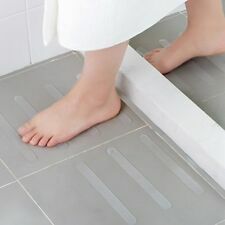 TypeAnti-Slip Bath Mat. - Material: Synthetic resin. Country/Region of ManufactureChina. - Color: White. Also note that monitor settings may vary from computer to computer and may distort actual colors. Size of each strip: 20 2 cm. Due to the difference between different monitors, the picture may not reflect the actual color of the item. Included: 1 set x Bathtub Stickers (6pcs). Material: Anti-slip twill PVC. Waterproof and anti-slip, easy to clean, with back adhesive, tear and paste, easy to operate. Net weight: 69g. If item is defective after 3 months, you can still send it back to us. Wear-resistant, antiskid, waterproof and anti-oil. Self-Adhesive, convenient to paste, use easily. 1 Roll X Anti-Slip Tape. 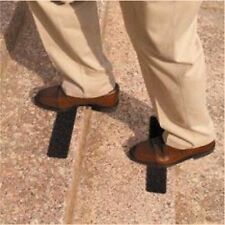 Reduce the risk of slip accidents, fit to outdoors or indoors. Also can be used in skateboard, scooter, treadmills, exercise machine etc. 1x Set antiscivolo vasca Appliques (10pcs). - Sono durevoli e durerà per anni. - Comodo per i piedi nudi, adatto per il bagno, doccia, gradini, scale barche, officina. - Questi gradini sono facili da installare per le persone di tutte le età. 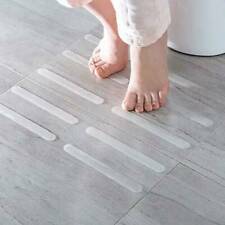 Suitable for any slippery surface like tub and bathroom floor. - Perfect application for kitchen, bathroom, swimming pool, balcony, corridor, doorway, etc. 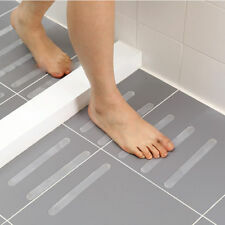 - Functions well in preventing slipping and ensuring safety when taking shower.